It’s first Communion season; why not recycle that dress or suit? Recycle, renew, repurpose are popular words synonymous with the ever-expanding global drive to “Go Green.” But Holy Martyrs Parish in Oreland has taken the idea of recycling one step further, not only going green but recycling white as well. Christine Besso, a registered nurse and widowed mother of two has been volunteering most of her time since 2013 to help outfit children receiving first holy Communion through a parish initiative she calls the Communion Closet. Besso at the time was a PREP teacher at Holy Martyrs, so she presented the concept of starting a Communion Closet to the parish director of religious education. “I really felt there was a need for this service and that we could repurpose these outfits and at the same time help a lot of families in neighboring communities,” Besso said. 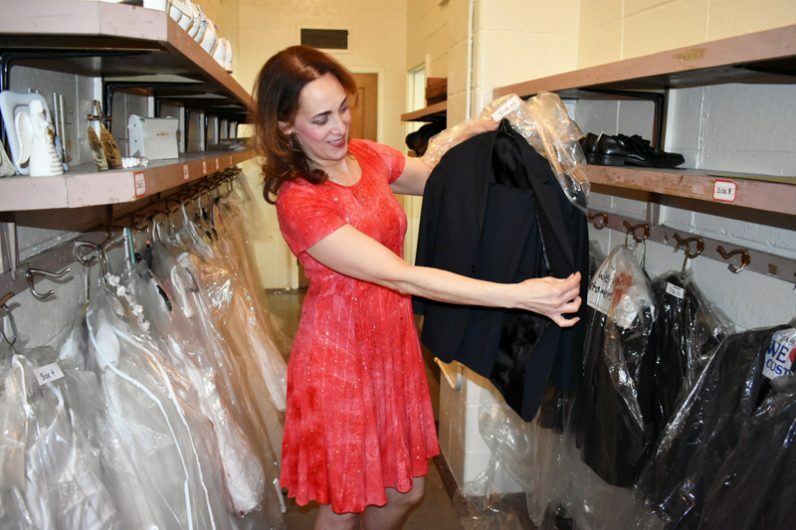 The Communion Closet program encourages people to donate communion dresses, suits and shoes no longer in use so they may be reused by families in need. The outfits are borrowed, worn, dry cleaned and then returned to the Communion Closet to be used once again. For Tom Mulligan of St. Bridget Parish in Philadelphia’s East Falls section, utilizing the Communion Closet was not so much about the cost of the suit but the practicality of the service. Mulligan first visited the closet when he needed a communion suit for his oldest son Drew. He plans to visit again when his younger son Braeden, now a first-grade student at Immaculate Heart of Mary School in Philadelphia, makes his first holy Communion next year. “I think it is a brilliant concept and a great way for parishes and the people of the parish to help one another,” Mulligan added. Through the generosity of family, friends and neighboring parishes like St. Genevieve in Flourtown, the Communion Closet has grown and now houses about 50 communion outfits in total. 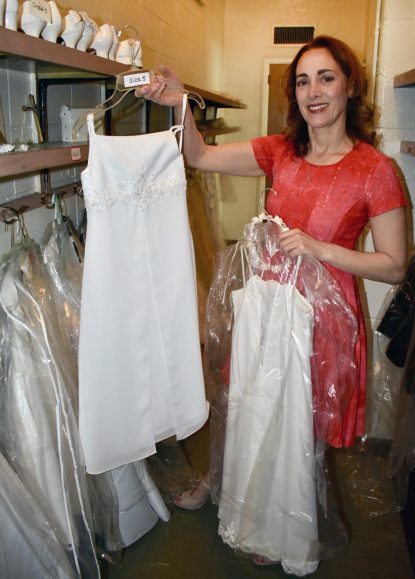 Carefully tucked into a 20-foot by four-foot coat room inside an unused part of the former Holy Martyrs School, the Communion Closet stores an impressive collection of suits and dresses in various sizes and styles, some never worn and with price tags still attached. Set up like a boutique, dresses, veils, suits and ties all are displayed on coat hooks while shoes, pocket books and prayer books line the shelf above. Besso spends much of her free time after work and on weekends picking up donations and meeting families who would like to visit the closet. Why does she do it? “I feel like I’m making a difference,” Besso replied with a smile. “It’s so rewarding when you see the faces of these children. They are so excited trying on dresses and suits, knowing they are going to be able to take one home with them and the families, they are just so appreciative. To me my time is so well spent,” Besso said. “It’s a wonderful service that I will use every year,” said Sister Bernadette Taraschi, I.H.M., director of religious education at St. William Parish in Northeast Philadelphia. St. William’s PREP students will be receiving their first holy Communion on Saturday, April 28. Sister Bernadette, who met Christine three years ago, has sent five families to the Communion Closet in the past month to help outfit St. William’s children. To visit the Communion Closet or donate an outfit, Christine Besso can be reached at thecommunioncloset@gmail.com.